This was written for Finish That Thought. 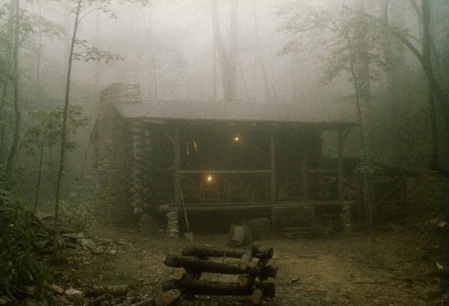 Hands trembling he opened the door to the cabin. The lights were out, but he could sense someone was there. Movement in the corner caught his attention and a vague shadow moved across the window. There was no point in running. He stepped carefully inside, careful not to knock over the hoard of papers stacked inside the door. He didn’t answer. What could he say? Certainly not the truth, she would know that soon enough. “Do you mind if I turn on the light?” He didn’t wait for her to answer, flipping the switch and bathing the room in a soft glow. If he’d been hoping to blind her with the sudden light, he was disappointed. He hadn’t been. He knew her… knew her eyes didn’t work like everyone else’s. “You didn’t always feel that way.” Harvey leaned against the wall and folded his arms. He looked her up and down, appraising her. She’d put on a little weight, but not much. Most of it was muscle. He picked up one of the papers stacked on the table. The front page showed a picture of a cathedral. “I learned a new trick.” Before she could stop him, he took her hand and the cabin vanished. “It’s just a shift in perspective,” he said, pulling the stake from his jacket. It was fitting that she should die in the same place they had been wed.
YIKES! I had a name change and why I didn't catch it... anyway, thanks for pointing that out so I could fix it.